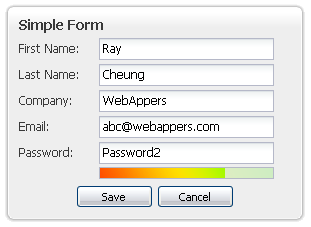 Instead of doing all or most of the work on the server, Cappuccino applications do as much as possible in the client. A typical application would never reload, but rather send and recieve data using traditional AJAX techniques and then present that data in the client code. You’re writing an email to invite a friend to meet at a local San Francisco restaurant that neither of you has been to. You’d like to include a map. Today, this involves the disjointed tasks of message composition on a web-mail service, mapping the address on a map site, searching for reviews on the restaurant on a search engine, and finally copying all links into the message being composed. And you haven’t even really sent a map or useful reviews—only links to them. 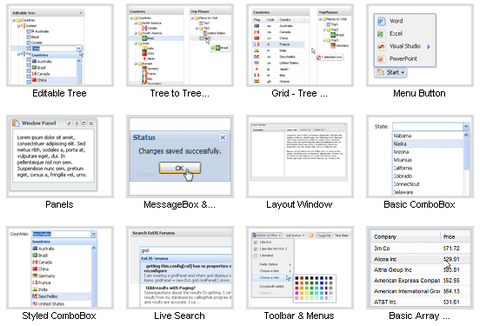 Ubiquity lets you map and insert maps anywhere; translate on-page; search amazon, google, wikipedia, yahoo, youtube, etc. 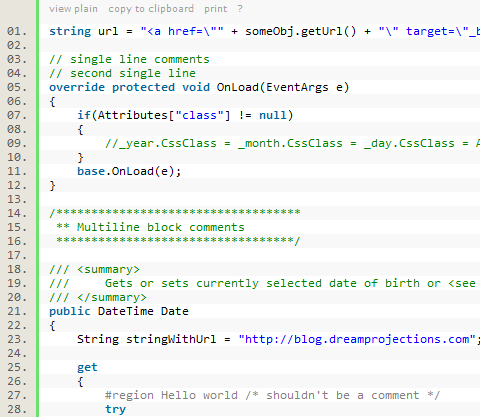 ; digg and twitter; lookup and insert yelp review; get the weather; syntax highlight any code you find; and a lot more. Ubiquity “command list” to see them all. All of the code underlying the Ubiquity experiment is being released as open source software under the GPL/MPL/LGPL tri-license as well. Are you bored with the look of youtube videos player? The Ext.ux. 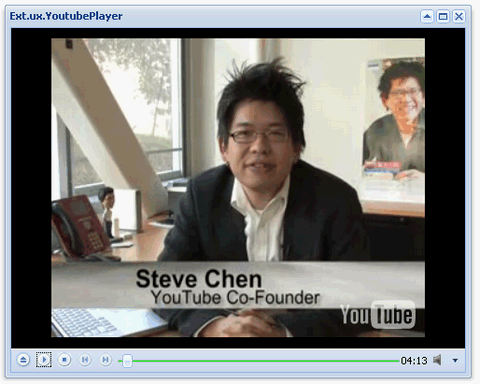 YoutubePlayer is a user extension that utilizes the Youtube Chromeless API. 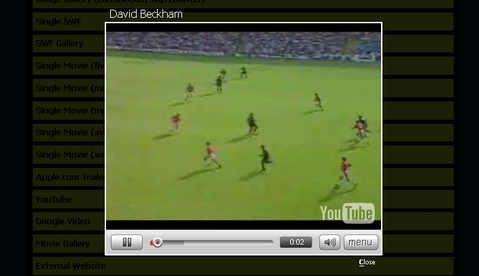 You can embed any Youtube video into Ext native controls and place it in your application wherever you want. It’s like a mediaplayer built on top of Ext JS and the Youtube API. Ext.ux. YoutubePlayer uses Ext native components to control the video loading/playback. It’s capable of showing the buffer status and the playback slider let’s you jump to any position in the video playback. You’ll also be able to mute/unmute the video and set the overall volume. It makes the video player looks a lot nicer. However, doing all these manually is a pain. Aciddrop has set up a PHP script to automatically do them for you. On the test page the load time with the compressor turned on was generally below second, and without the compressor between 3-5 seconds. The Yahoo Yslow rating went from F(45) to A(97) as well. However, MooMonth is still in alpha stages though, it will be several weeks before ready to be tested in production. 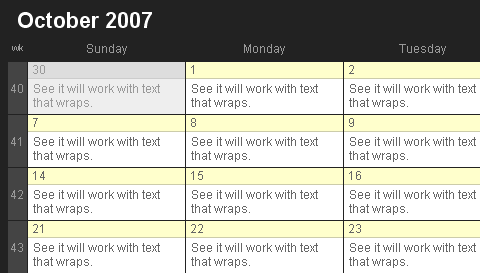 Feel free to try it out and then give Dnalor your opinions and suggestions about the calendar.